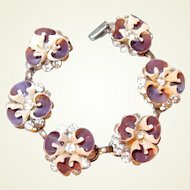 Trifari Jewelers Circular-Keystone bracelet moonstone red stone Silver Anniversary Collection 1950. 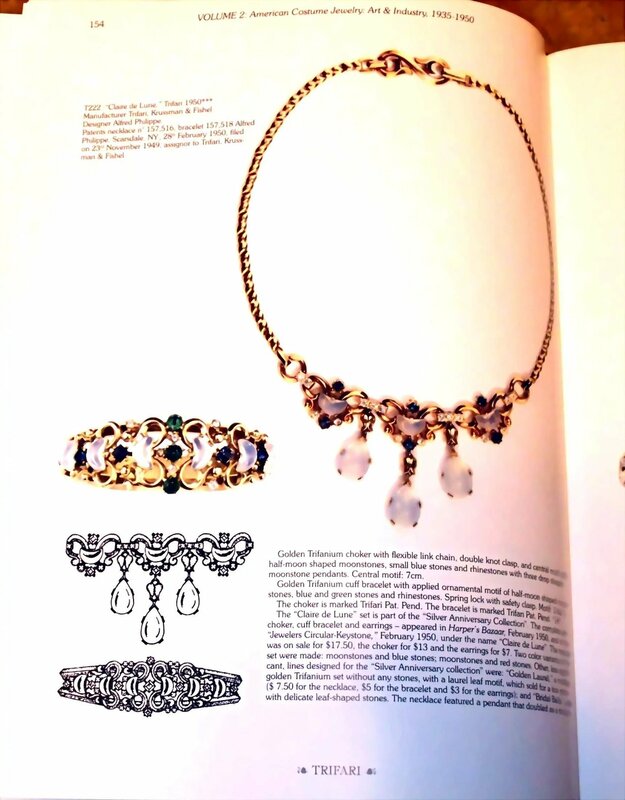 Trifari hinged bracelet from the Clair de Lune collection patented in 1950 and advertised in Harper's Bazaar the same year. 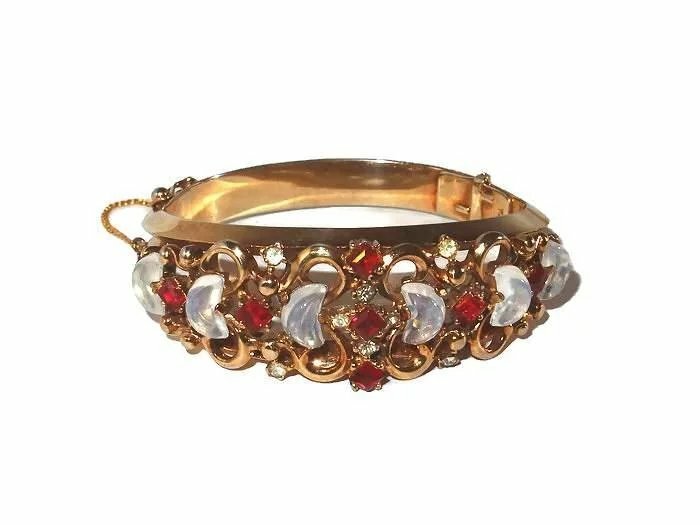 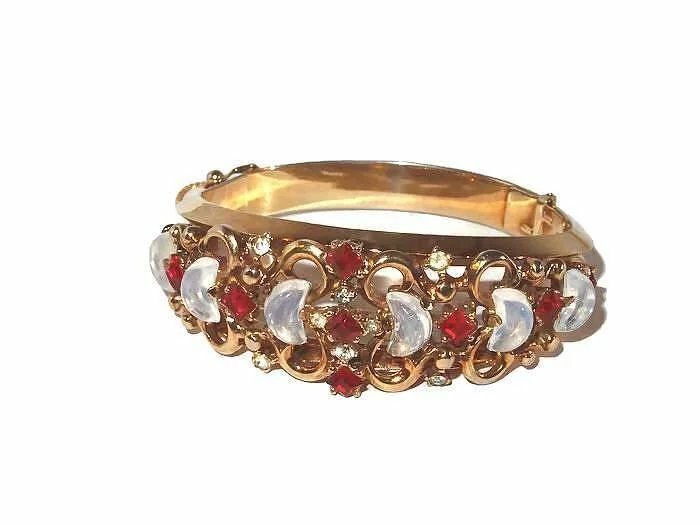 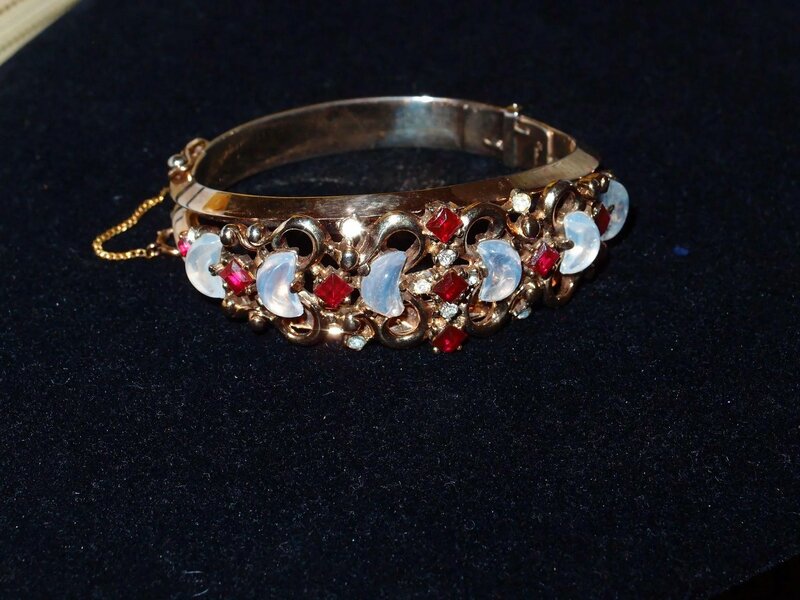 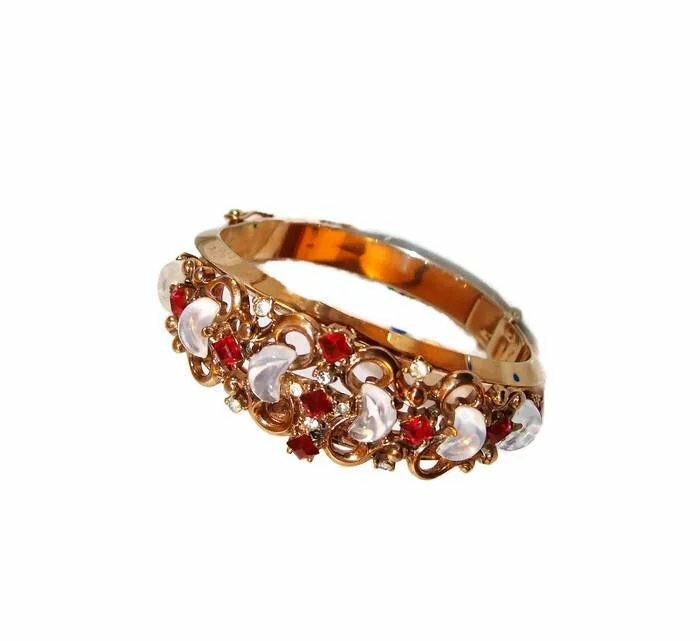 It features square glass stones simulating red ruby and crescent shaped glass moonstones, along with clear rhinestone accents. 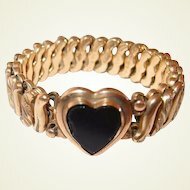 Metal is gold plated. 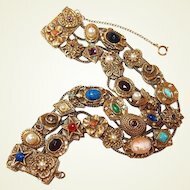 Fastens with a fine jewelry style closure as well as a safety chain. 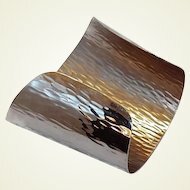 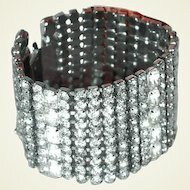 One of few cuff bracelets Trifari manufactured early on.. 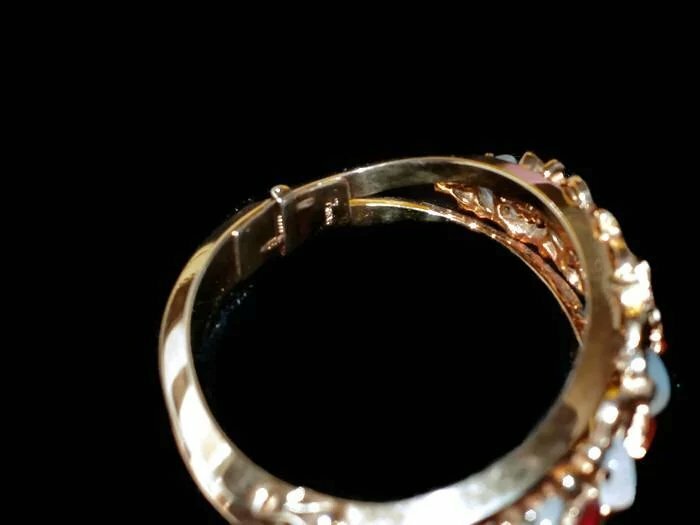 The spring closure is tight and the gold plate appears unworn. 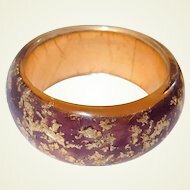 Measures 2.25 inches across by 1-5/8 inch deep. 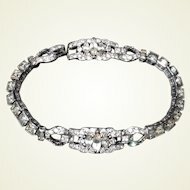 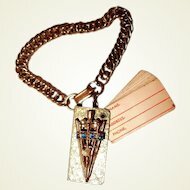 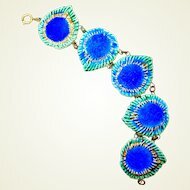 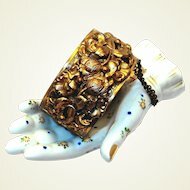 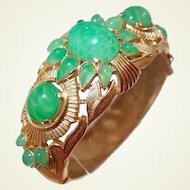 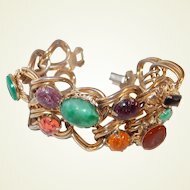 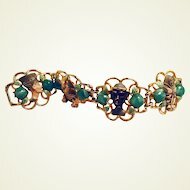 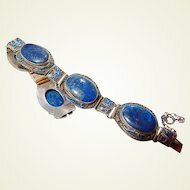 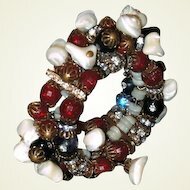 Fabulous bracelet that is one found in American Costume Jewelry by Brunialti. 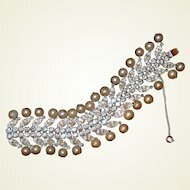 Always something new to see, so bookmark us as a favorite. 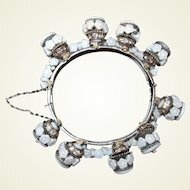 You won't want to miss a thing.